We created a “give back” program for 250 eager visitors who went to work sprucing up the old town of St George, a World Heritage Site - refurbishing the historic ship “Deliverance”, landscaping public gardens, building bird nests for the endangered “Blue Bird” and painting massif 1812s cannon…..
Crown & Anchor gambling and Cup Match – we recreated the once a year colourful rivalry between the East and West Ends of Bermuda with guests experiencing local culture. Dinner on a pink sand beach! 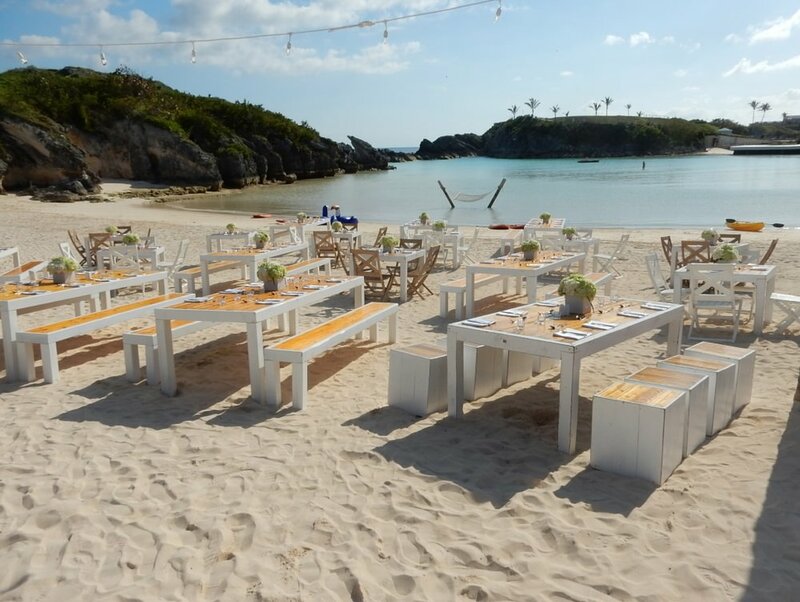 Our client didn’t want a traditional table setting so we created bespoke tables and benches to enhance the look and feel of today’s Bermuda. 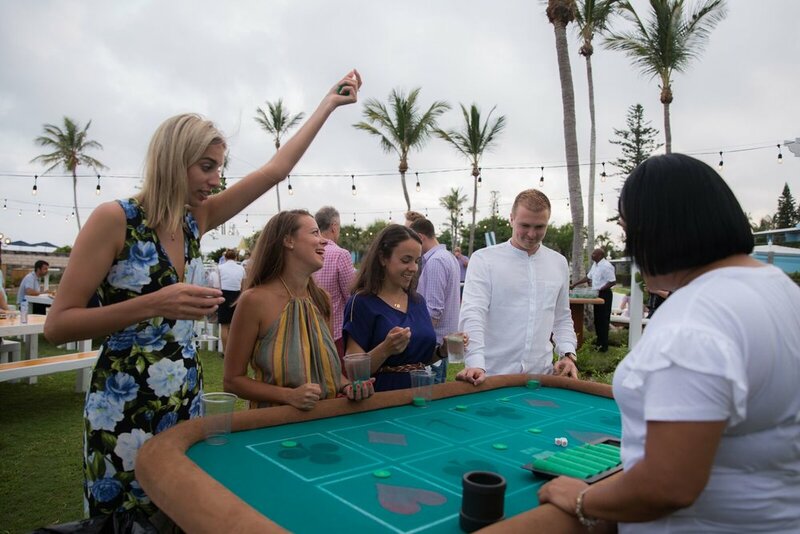 We arranged for Robert Irvine of restaurant fame to come to Bermuda, create a menu and host this evening at a historic fort to great applause from guests….